In a large bowl, mix together biscuit mix, Cheddar cheese, and sausage. 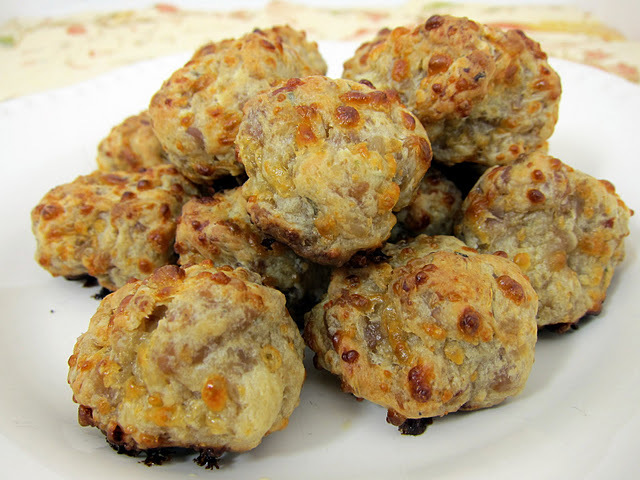 Roll mixture into walnut-size balls and arrange on an ungreased cookie sheet. Bake at 350 degrees F (175 degrees C) for 5 to 15 minutes, or until completely cooked and browned. Place on paper towels to drain and cool. No comments for: "Sausage Balls II Recipe"